^ Baranauskas, 2009. p. 28. ^ a b Baranauskas, 2009. p. 29. ^ Kiaupa, 2005. p. 15. ^ 鈴木, 2000. p. 4. ^ Magocsi, 1996. p. 128. ^ Lane, 2001. pp. ix, xxi. ^ Fawn, 2003. p. 186. ^ Stone, 2001. p. 63. ^ Herbermann, Charles, ed. (1913). "Lithuanians in the United States". Catholic Encyclopedia (英語). New York: Robert Appleton Company. ^ Ready, 1995. p. 191. ^ Ziemele ed., 2001. p. 10. ^ Dawisha and Parrott, 1997. p. 293. ^ Bubnys, 2004. pp. 218-219. ^ a b ロロ, 1991. p. 11. ^ Sakalauskiene and Ignatavicius, 2003. ^ （リトアニア語） Lietuvos Respublikos apskrities valdymo įstatymas. セイマスデータベース. 1994年12月15日. Law no. I-707. 2006年6月3日閲覧. ^ （リトアニア語） Žilvytis Bernardas Šaknys. Lietuvos Respublikos administracinio teritorinio suskirstymo perspektyvos: etnografiniai kultūriniai regionai. セイマス民族文化保護協議会. 2002年12月12日. 2006年6月4日閲覧. ^ （リトアニア語） Antanas Tyla. Pastabos dėl Apskričių valdymo reformos koncepcijos. セイマス民族文化保護協議会. 2001年5月16日. 2006年6月4日閲覧. ^ （リトアニア語） Lietuvos Respublikos vietos savivaldos įstatymo pakeitimo įstatymas, セイマスデータベース. 2000年10月12日. Law no. VIII-2018. 2006年6月3日閲覧. ^ （リトアニア語） Indrė Makaraitytė. Europos Sąjungos pinigai kaimo neišgelbės. Atgimimas. Delfi.lt. 2004年12月16日. 2006年6月4日閲覧. ^ Population at the beginning of the year by town/city. リトアニア統計局. 2010年11月21日閲覧. ^ a b （リトアニア語） Nuo 1991 m. iki šiol paskelbtų referendumų rezultatai. セイマス. 2006年6月4日閲覧. ^ Department of Statistics to the Government of the Republic of Lithuania. "National Accounts of Lithuania 2006." p. 20. ^ "At the beginning of the year by ethnicities Archived 2016年1月1日, at the Wayback Machine.." リトアニア統計局. 2010年11月30日閲覧. 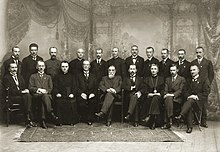 ^ "The Third Congress of Litvaks." The Baltic Times. 3-9 Sep. 2009. ^ Kamuntavičius, 2006. p. 55. ^ 畑中、チェパイティス, 2006. pp. 74-88. ^ Population by ethnicity and mother tongue." リトアニア統計局. 2001年調査. 2010年11月30日閲覧. ^ "Population by foreign languages which they know by county and municipality." リトアニア統計局. 2001年調査. 2010年11月30日閲覧. ^ Zinkevičius, Zigmas; Alexas Stanislovas Girdenis (1966). “Dėl lietuvių kalbos tarmių klasifikacijos”. Kalbotyra (Slavistica Vilnensis) 14. ISSN 1392–1517. ^ 畑中、チェパイティス, 2006. p. 19. ^ Romos katalikų daugiausia Archived 2009年12月29日, at the Wayback Machine.. （リトアニア語） Department of Statistics to the Government of the Republic of Lithuania. 2002年11月7日. 2009年8月21日閲覧. ; Population by Religious Confession. （英語） Department of Statistics to the Government of the Republic of Lithuania. 2005年12月1日. 2009年8月21日閲覧. ^ "Lithuania" Archived 2008年8月27日, at the Wayback Machine.. Findings on the Worst Forms of Child Labor (2001). Bureau of International Labor Affairs, U.S. Department of Labor (2002). This article incorporates text from this source, which is in the public domain. ^ a b c Education 2008. リトアニア共和国統計局. 2009年7月11日閲覧. ^ a b c d Education in Lithuania Facts and Figures 2006 リトアニア共和国文部科学省. 2009年4月16日閲覧. ^ Most Latvians, Lithuanians and Estonians lived in flats in 2007. The Baltic Course. 2009年6月29日. 2009年6月29日閲覧. ^ a b Institute of Lithuanian Scientific Society.Lithuanian Classic Literature Archived 2005年2月4日, at the Wayback Machine.. 2009年2月16日閲覧. ^ History of the Lithuanian Art Museum Archived 2011年5月10日, at the Wayback Machine.. Lithuanian Art Museum. 2008年10月10日閲覧. ^ FIBA Ranking for Men. FIBA. 2010年11月21日閲覧. ^ FIBA Ranking for Boys. FIBA. 2010年11月21日閲覧. ^ Singles Rankings. ATP World Tour. 2010年11月21日閲覧. ^ Country reports and charts available. World Health Organization. 2009. ［英訳］ Yukiko Sugihara, Visas for Life, translated by Hiroki Sugihara, San Francisco, Edu-Comm, 1995. ［仏訳］ Yukiko Sugihara, Visas pour 6000 vies, traduit par Karine Chesneau, Paris, Ed. Philippe Piquier, 1995. Baranauskas, Tomas (2009). 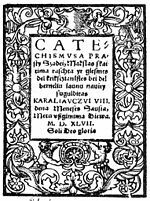 “On the Origin of the Name of Lithuania”. Lituanus 55 (3): pp. 28-36. ISSN 0024-5089. Dawisha, Karen; Bruce Parrott (1997). The Consolidation of Democracy in East-Central Europe. Cambridge: Cambridge University Press. ISBN 9780521599382. Fawn, Rick (2003). Ideology and National Identity in Post-communist Foreign Policies. London: Routledge. ISBN 9780714655178. Kamuntavičius, Rūstis (2006). 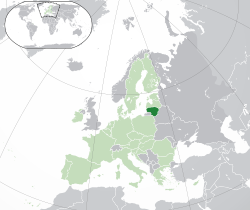 Development of Lithuanian State and Society: Lietuvos valstybės ir visuomenės raida. Kaunas: Vytautas Magnus University. ISBN 9955572345. Kiaupa, Zigmantas (2005). The History of Lithuania (2nd ed. ed.). Vilnius: Baltos lankos. ISBN 9955584874. Lane, Thomas (2001). Lithuania: Stepping Westward. London: Routledge. ISBN 0415267315. Magocsi, Paul R. (1996). A History of the Ukraine. Toronto: University of Toronto Press. ISBN 9780802078209. Ready, J. Lee (1995). World War Two. Nation by Nation. Arms and Armour. ISBN 9781854092908. “The Roads to Independence”. Lithuania in the World (Vilnius: Pasauliui apie mus, VšĮ) 16 (2). (2008). オリジナルの2011年5月12日時点によるアーカイブ。. https://web.archive.org/web/20110512014106/http://www.liw.lt/archive_vid.php?shid=1211283347&id=1211283055 2010年12月13日閲覧。. Sakalauskiene, G.; G. Ignatavicius (2003). “Research Note: Effect of Drought and Fires on the Quality of Water in Lithuanian Rivers” (PDF). Hydrology and Earth System Sciences 7 (3): 423-427. doi:10.5194. ISSN ISSN. http://www.hydrol-earth-syst-sci.net/7/423/2003/hess-7-423-2003.pdf 2010年12月14日閲覧。. Stone, Daniel (2001). 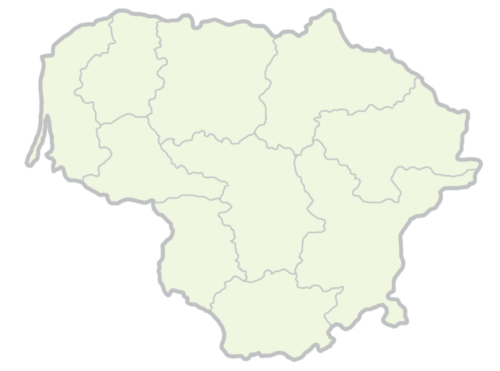 The Polish-Lithuanian state: 1386–1795. Seattle: University of Washington Press. ISBN 9780295980935. Ziemele, Ineta ed. (2001). Baltic Yearbook of International Law 1. ISSN 1569-6456. Bubnys, Arūnas (1997). “Vokiečių ir lietuvių saugumo policija (1941–1944)”. Genocidas ir rezistencija 1. ISSN 1392-3463. http://www.genocid.lt/Leidyba/1/arunas1.htm.